The National Bureau of Statistics (NBS) has disclosed that the country’s inflation measured by the Consumer Price Index (CPI) in March 2019 was 0.06% points lower than the rate recorded in February. 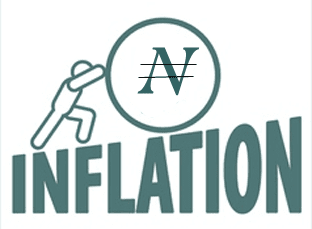 In its “CPI and Inflation Report" released on Tuesday in Abuja, the bureau said the CPI which measures inflation decreased to 11.25% (year-on-year) in March 2019. According to the NBS, this is 0.06% points lower than the rate recorded in February 2019 which was 11.31%. It, however, said increases were recorded in all Classification of Individual Consumption by Purpose (COICOP) divisions that yielded the Headline index. On a month-on-month basis, the bureau said the Headline Index increased by 0.79% in March 2019, this was 0.06 per cent rate higher than the rate recorded in February 2019 0.73%. The Report said the percentage change in the average composite CPI for the period of 12 months ending in March over the previous 12 months was 11.40%. It said the figure showed 0.16% point from 11.56% recorded in February. Meanwhile, the bureau said the urban inflation rate increased by 11.54% (year-on-year) in March from 11.59% recorded in February 2019. It said the rural inflation rate increased by 10.99% in March from 11.05% in February. On a month-on-month basis, it said the urban index rose by 0.81% in March 2019, up by 0.05 from 0.76% recorded in February. Also, it said the rural index rose by 0.77% in March, up by 0.06% from the rate recorded in February (0.71) per cent. According to the report, the corresponding twelve-month year-on-year average percentage change for the urban index is 11.78% in March. This is less than 11.95% reported in February while the corresponding rural inflation rate in March is 11.08% compared to 11.23% recorded in February.